The first step of any podcast is to record the speaking. This can be done in a variety of ways and the number of different microphones on today’s market is somewhat overwhelming. Here, we will focus on the Blue Snowball Microphone, The Blue Mikey, Thumbtack Mics, iPod earbud/microphones , and, of course, standard headset-type microphones, and internal computer microphones. The sheer number of microphone types are endless. The key is finding the right one for the job. Podcasting is all about sharing your message with everyone that wants to listen, and it doesn’t take much to get your ideas from your head into your computer and online for the world to hear. Lots of computers include built-in microphones, and inexpensive headset mics are easy to come by and easy to use. 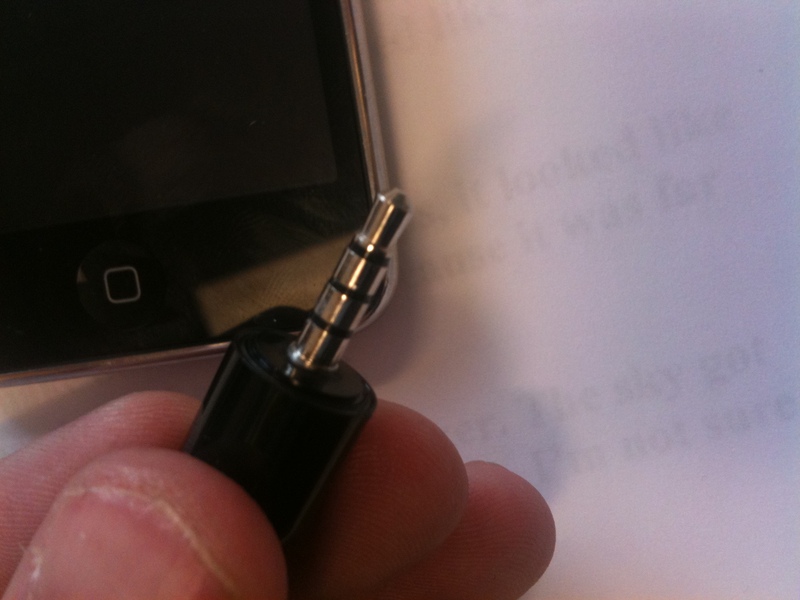 The mini capsule / ThumbTack microphone are inexpensive (I bought mine for $2.22 – the ThumbTack is a bit more at $12.99) and handy little devices that can provide recording capabilities to earlier iPod Touch Units. These units provide decent enough sound to record vocal audio (but don’t expect concert hall sound). Also, these units work best when they are pointed directly at the speaker. Ambient sound isn’t well received. 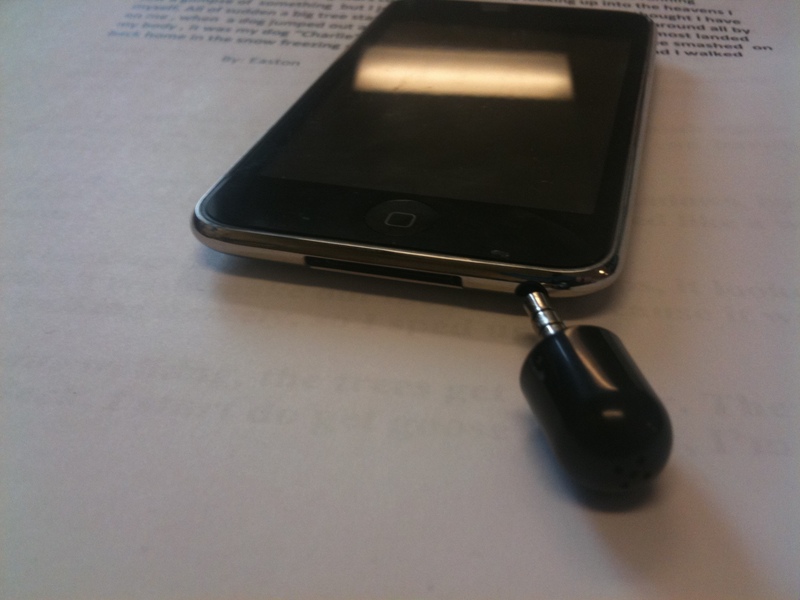 Along with the mini microphones, you can also use the Apple headphones that have a microphone attached. This earbud / microphone combination ships with most iPod Touch units these days but, if they don’t, they retail for about $35.00 at the Apple store online and at your local Future Shop / Best Buy. Apple also has a funky new set of earbuds that has the microphone built right into the earbuds themselves ($79.00 from Apple.com). Another great microphone that can be used with iPod Touch and iPhone units is the Mikey by Blue. The cool thing about the Mikey, however, is that it can make an iPod Classic a recording device. Without it, it is consumption only – able to play music and podcasts but not make them. The Mikey retails for $99.99 but is often on sale for $45.00 – $50.00 from Amazon (as it was during the time of this post). 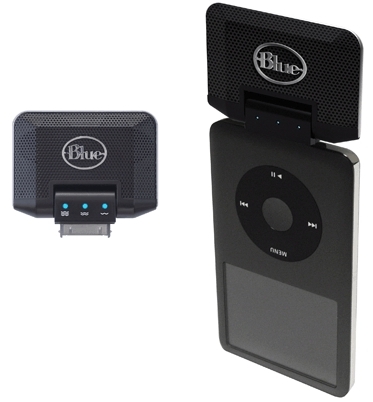 I have been very impressed by the quality of the Blue Mikey and use it regularly with my iPhone and iPod Classic to record my presentations and voice memos to myself. The quality is very crisp and CD in quality. Mikey’s recording head is hinged with seven locking positions, providing a 230-degree adjustability range. You can direct the microphone toward your sound source without changing your position. For instance, if you’re sitting on the top tier of an auditorium and want to record your professor’s lecture, you can rotate Mikey toward the sound source to obtain a clear, intelligible recording (Amazon). The Mikey can be used during class discussions, small group presentations, or individual student reflections and / or reading. Just plug the Mikey into the bottom of the device and start the Voice Memo capability. It’s as simple as that! With the Mikey, those iPod Classic units that you might be trying to find a use for just got a whole lot more attractive. Also, if students have iPod Nanos or Classics, then they can have an instant recording device just by plugging in this microphone. 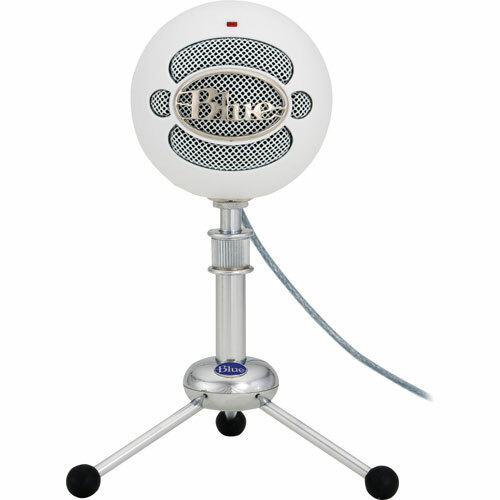 Another microphone that is fantastic for podcasting, and for recording the contributions and conversations of a group is the Snowball Microphone by Blue. The Snowball microphone is a simple plug-and-play device that is easy to use and easy to set up. The cool thing about the Snowball is that it is an omni-directional microphone – it will pick up sound equally from all directions. Just put the microphone in the centre of a group of students while they’re having a learning conversation and listen to it later for assessment or post on your website (or other hosting platform – to be discussed in Part 3 of this series) to be shared by students anytime / anywhere. The Snowball microphone is also an excellent choice for video conferencing via platforms such as Skype and Adobe Connect as all you have to do is plug it in and place it on the table close to the conversation. Multiple people within 360 degrees of the microphone can contribute without having to physically walk to the microphone. There are a few settings to tweak but nothing that onerous (I’ll post some tips in a following post). The Snowball microphone retails for $99.00 but is often on sale for $45.00 – $60.00 depending on what colour you would like – choice of Aluminum, White, or Black. The Aluminum is very sharp – the white, however, is always the least expensive. In the next post of this podcasting series, we will look at podcasting via Tumblr using Audacity to record and edit vocal tracks for upload. We will also look at how to easily create and post a podcast to Tumblr using the iPod Touch / iPhone App. There is an App for that afterall!